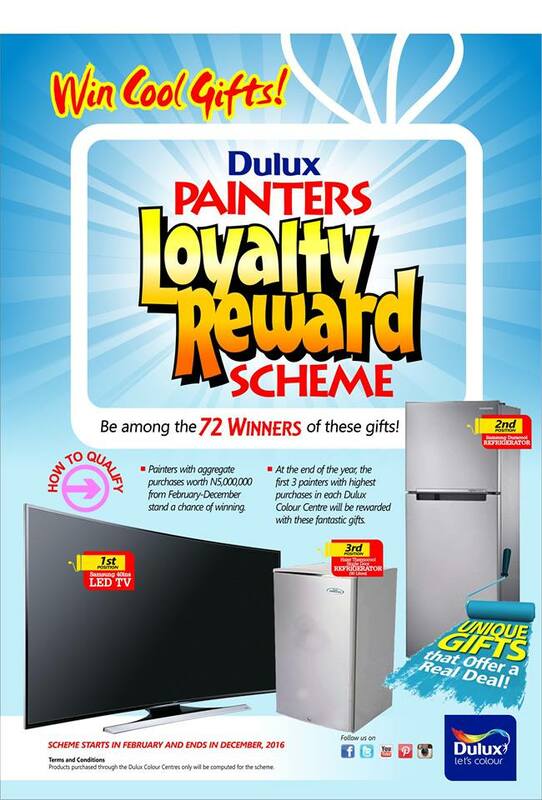 Dulux Paints is rewarding painters in its Loyalty Reward Scheme. Painters with Aggregate Purchases Worth N5,000,000.00 From February to December, Stand a chance to win. At the end of the year, the first 3 Painters with highest purchases in each Dulux colour center will be rewarded with the above 3 gifts. Scheme starts from February and ends in December, 2016.